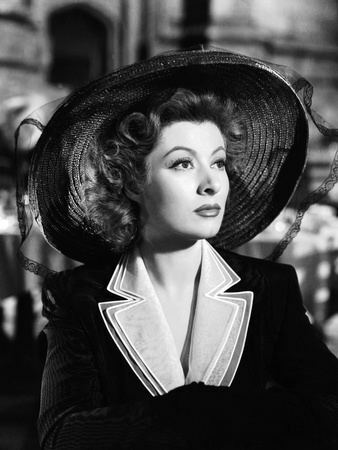 Eileen Evelyn Greer Garson, CBE (29 September 1904 – 6 April 1996) was a British-American actress who was very popular during the Second World War, being listed by the Motion Picture Herald as one of America's top-ten box office draws from 1942-46. 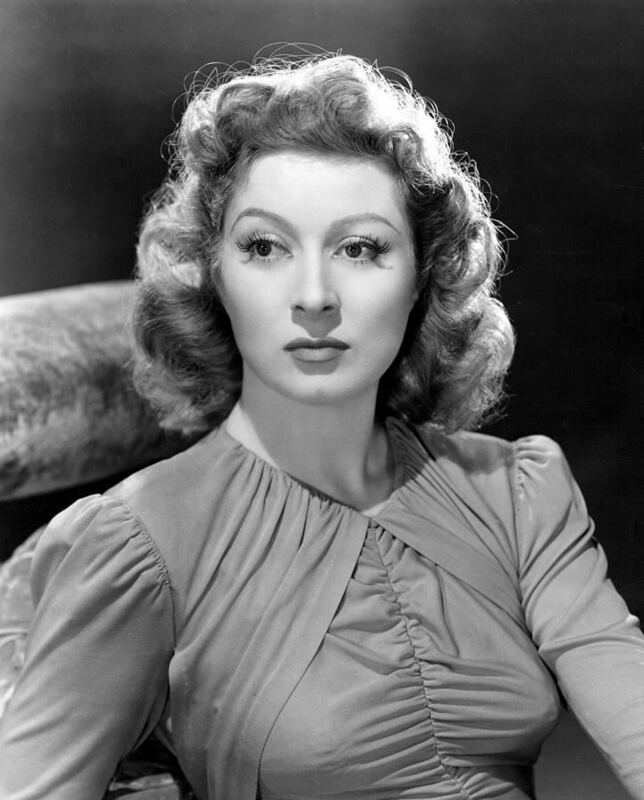 Greer Garson was born on 29 September 1904 in Manor Park, East Ham, then in Essex, now part of London, the only child of Nina (née Nancy Sophia Greer; died 1958) and George Garson (1865–1906 (41 years old? )), a commercial clerk in a London importing business. Her father was born in London, to Scottish parents, and her mother was from Drumalore (or Drumaloor), County Cavan. The name "Greer" is a contraction of "MacGregor", another family name. Her maternal grandfather was David Greer, an RIC sergeant in Castlewellan, County Down. In the 1880s he became a land steward to the Annesley family, wealthy landlords who built the town of Castlewellan. David Greer lived in a large detached house built on the lower part of what was known as Pig Street or known locally as the Back Way near Shilliday's builder's yard. The house was called "Claremount" and today the street is named Claremount Avenue. It was often reported erroneously that Greer Garson was born in this house. Garson was educated at King's College London, where she earned degrees in French and 18th-century literature, and in Grenoble. 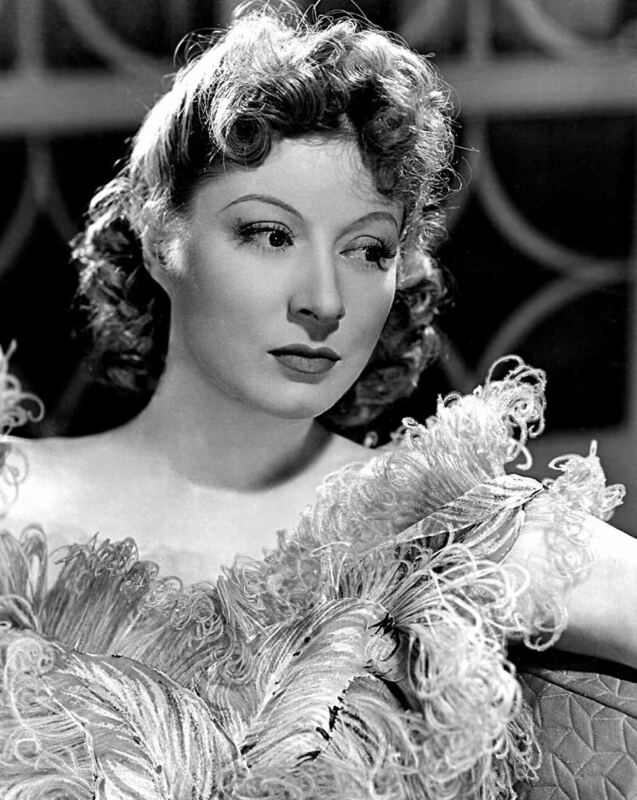 Greer Garson's early professional appearances were on stage, starting at Birmingham Repertory Theatre in January 1932. She appeared on television during its earliest years (the late 1930s), most notably starring in a 30-minute production of an excerpt of Twelfth Night in May 1937, with Dorothy Black. These live transmissions were part of the BBC's experimental service from Alexandra Palace, and this is the first known instance of a Shakespeare play performed on television. Louis B. Mayer discovered Garson while he was in London looking for new talent. Garson was signed to a contract with MGM in late 1937, but did not begin work on her first film, Goodbye, Mr. Chips, until late 1938. She received her first Oscar nomination for the role, but lost to Vivien Leigh for Gone with the Wind. She received critical acclaim the next year for her role as Elizabeth Bennet in the 1940 film, Pride and Prejudice. Garson starred with Joan Crawford in When Ladies Meet in 1941 (a remake of a Pre-Code version of the same name, which had starred Ann Harding and Myrna Loy), and that same year became a major box-office star with the sentimental Technicolor drama Blossoms in the Dust, which brought her the first of five consecutive Best Actress Oscar nominations, tying Bette Davis' 1938–42 record, which still stands. 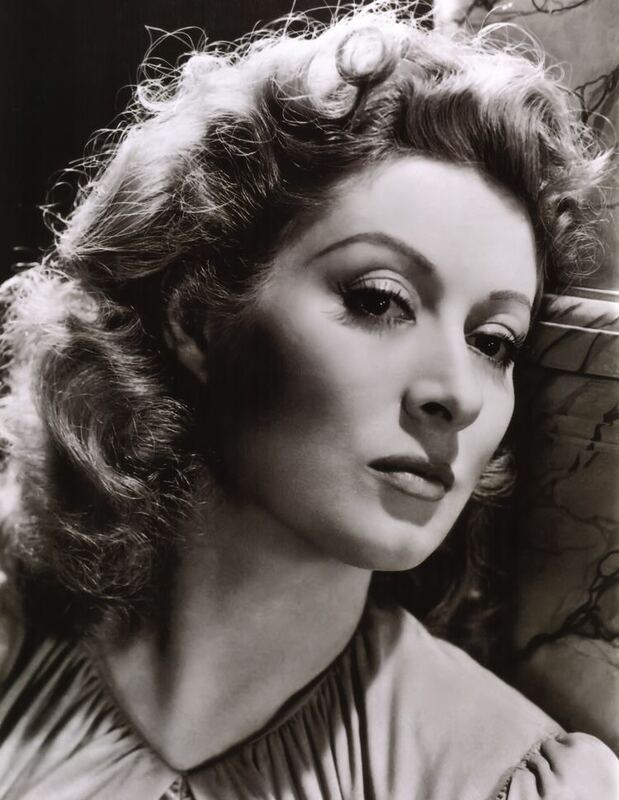 Garson won the Academy Award for Best Actress in 1942 for her role as a strong British wife and mother in the middle of World War II in Mrs. Miniver. (Guinness Book of World Records credits her with the longest Oscar acceptance speech, at five minutes and 30 seconds, after which the Academy Awards instituted a time limit.) She was also nominated for Madame Curie (1943), Mrs. Parkington (1944), and The Valley of Decision (1945). 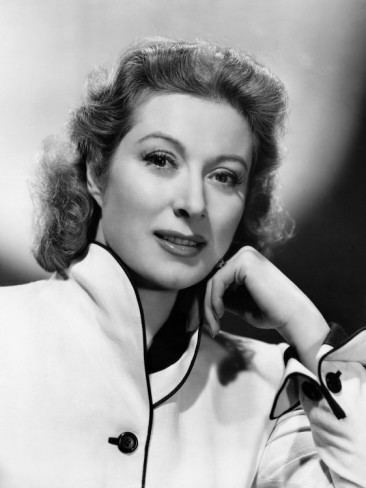 She frequently costarred with Walter Pidgeon, ultimately making eight pictures with him: Blossoms in the Dust (1941), Mrs. Miniver (1942), Madame Curie, Mrs. Parkington, Julia Misbehaves (1948), That Forsyte Woman (1949), The Miniver Story (1950), and Scandal at Scourie (1953). Garson was partnered with Clark Gable, after his return from war service, in Adventure (1945). The film was advertised with the catch-phrase "Gable's back and Garson's got him!" Gable argued for "He put the Arson in Garson"; she countered "She put the Able in Gable! "; thereafter, the safer catchphrase was selected. Garson's popularity declined somewhat in the late 1940s, but she remained a prominent film star until the mid-1950s. In 1951, she became a naturalised citizen of the United States. She made only a few films after her MGM contract expired in 1954. In 1958, she received a warm reception on Broadway in Auntie Mame, replacing Rosalind Russell, who had gone to Hollywood to make the film version. In 1960, Garson received her seventh and final Oscar nomination for Sunrise at Campobello, in which she played Eleanor Roosevelt, this time losing to Elizabeth Taylor for BUtterfield 8. Greer was special guest on an episode of the TV series Father Knows Best, playing herself. On 4 October 1956, Garson appeared with Reginald Gardiner as the first two guest stars of the series, in the premiere of NBC's The Ford Show, Starring Tennessee Ernie Ford. Garson appeared as a mystery guest on What's My Line on 25 October 1953 and on 6 April 1958 to promote her appearance in Auntie Mame. She was a panelist on the 12 May 1957 episode. Her last film, in 1967, was Walt Disney's The Happiest Millionaire, although she made infrequent television appearances afterwards. In 1968, she narrated the children's television special The Little Drummer Boy. Her final role for television was in a 1982 episode of The Love Boat. Garson received an honorary Doctor of Arts degree from Southern Methodist University in Dallas, her late husband's alma mater, in 1991. In 1993, Queen Elizabeth II recognised Garson's achievements by investing her as Commander of the Order of the British Empire (CBE). Garson was married three times. Her first marriage, on 28 September 1933, was to Edward Alec Abbot Snelson (1904–1992), later Sir Edward, a British civil servant who became a noted judge and expert in Indian affairs. She lived with him briefly in Nagpur, a small town in central India, but eventually returned to the theatre. Sir Edward reportedly grieved at losing her and would watch multiple screenings of any film of hers that played in Nagpur. The actual marriage reportedly lasted only a few weeks, but it was not formally dissolved until 1943. Her second husband, whom she married (at age 39) on 24 July 1943, was Richard Ney (1916–2004), the younger actor (27 years old) who played her son in Mrs. Miniver. The relationship was under constant scrutiny due to their age difference, and despite attempts by MGM to portray the image of a happy couple, the marriage was troubled. They divorced in 1947 after several attempts at reconciliation. Ney eventually became a stock-market analyst, financial consultant, and author. In 1949, Garson married a millionaire Texas oilman and horse breeder, E.E. "Buddy" Fogelson (1900–1987). In 1967, the couple retired to their "Forked Lightning Ranch" in New Mexico. They purchased the U.S. Hall of Fame champion Thoroughbred Ack Ack from the estate of Harry F. Guggenheim in 1971 and were highly successful as breeders. They also maintained a home in Dallas, Texas, where Garson funded the Greer Garson Theatre facility at Southern Methodist University. During her later years, Garson was recognised for her philanthropy and civic leadership. 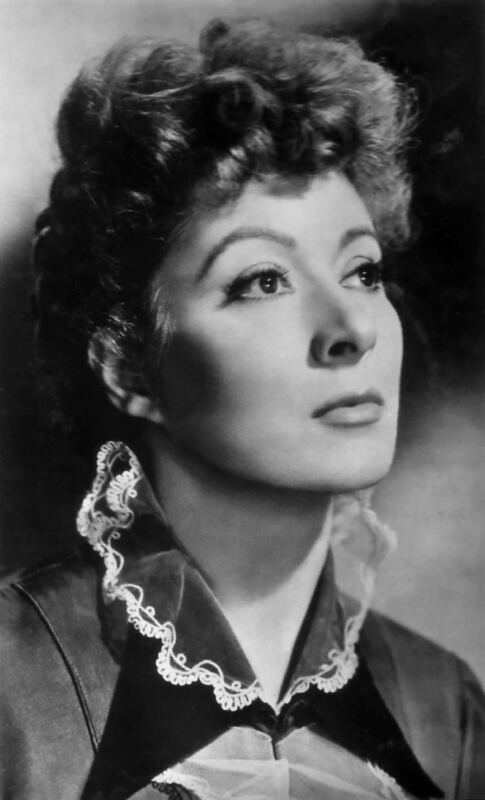 She donated several million dollars for the construction of the Greer Garson Theatre at both the Santa Fe University of Art and Design and at Southern Methodist University's Meadows School of the Arts on three conditions: 1) the stages be circular, 2) the premiere production be William Shakespeare's A Midsummer Night's Dream, and 3) they have large ladies' rooms. Garson was a devout Presbyterian. The actress suffered a back injury during her first 18 months at MGM, while waiting for a role Mayer deemed worthy of her, and was nearly released from her contract. Her back was injured again while filming Desire Me in Monterey on 26 April 1946 when a wave knocked her and co-star Richard Hart from the rocks where they were rehearsing. A local fisherman, and extra in the film, rescued Garson from the surf and potential undertow. She was bruised and in shock and required by doctors to rest for several days. The injury to her back would require several surgeries over the coming years. From the early 1970s, interest was renewed in the stars of Hollywood's golden age, as their films received regular TV airings, and more facts about performers, as opposed to the information that the studios had circulated about them, came to light. Around this time, a more plausible year of birth for Garson, 1908, began to appear in print. This could have been the year she had given when she took to the stage in the UK, conscious that she was a late starter or, for similar reasons, to MGM at the time she first signed with them. This second date achieved wide credence, until after Garson's death, when obituaries revealed that she had been born four years earlier, in 1904. In her final years, Garson occupied a penthouse suite at the Presbyterian Hospital in Dallas. She died there from heart failure on 6 April 1996, at the age of 91. She is interred beside her late husband in the Sparkman-Hillcrest Memorial Park Cemetery in Dallas.